Probably, your house door locks has always worked without any problem and as a result you have never really thought about how secure they are. Even though, your locks have always worked for you, there are important home security reasons to consider changing your locks once in a while. Changing of your door locks is not that difficult. You can even do them yourself if you know how, but it’s always best to call in a professional locksmith to take care of your Chandler locks change project.. Door locks tend to get old, become weak and deteriorate after using them over long periods of time. Also, if you have had spare sets of keys made in the past for friends, family members, or for service provider, it’s difficult to keep track of who might have handled the keys. Changing your door locks would be a fresh start, as you can make certain that only trusted individuals have your spare keys, thereby increasing your home security. The best way to do this is to seek the help of a professional locks change locksmith. Take a good look at the current lock to know the brand you have. Buying the exact same brand at any shop will make the change easier for you, as you wouldn’t need to adjust the locks itself. Measure your tape’s backset from the latch of the door to the center of the doorknob using a ruler. The typical measurements for backsets are 2¾ inches or inches. A lot of locks are very adjustable, so you can easily fit both. Using a screwdriver, remove the screws from every side of your doorknob. This way, each half of the door knob can be easily removed. Armed with your lock’s measurement and brand, you can now purchase your new lock from the hardware store. You can even bring the old lock to compare with new the lock you’re going to buy. Install your new locks once you get home following the reverse steps of what you did when removing the locks. Look inside your new lock kit for directions in case you are uncertain of the steps. You have to make certain the screws are tightly in place. Test the new keys out to ensure the lock works the way it should. 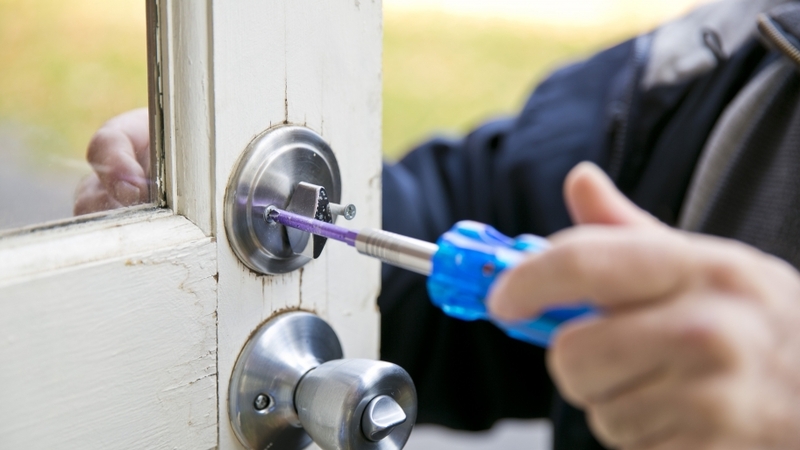 Changing your locks, no doubt is a great way of increasing your home security. You can add to the home security by installing a home alarm system. This way, you’re completely sue you’re safe. Remember, to get the best out of changing your locks, it’s best to seek the help of professional locksmith services. They are experts with locks and know the best way to install your locks for optimum security.